Today I have launched a dream. That dream has taken the form of a collection of Abraham Lincoln stuff. Although I desperately wanted the title of the blog to be a pun on Lincoln Logs (Lincoln bLogs?) I figured that may be a little heavy handed and “The Honest Abe Blog” would do. 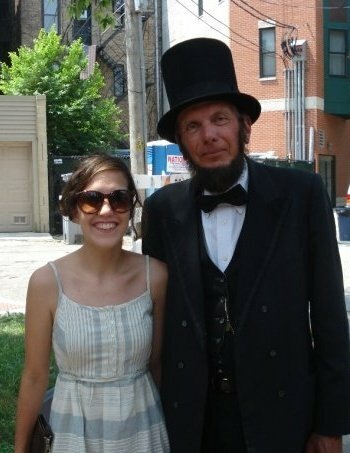 The photo above was taken when I accidentally “met” President Lincoln on 7/4/2008. The moment took me by surprise — one doesn’t necessarily wake up and expect to meet a former President (or a former President impersonator) — but I was lucky enough to have that happen AND to have my digital camera with me when it happened. Interestingly enough this chance encounter took place at the corner ofLincoln & Altgeld in Chicago. 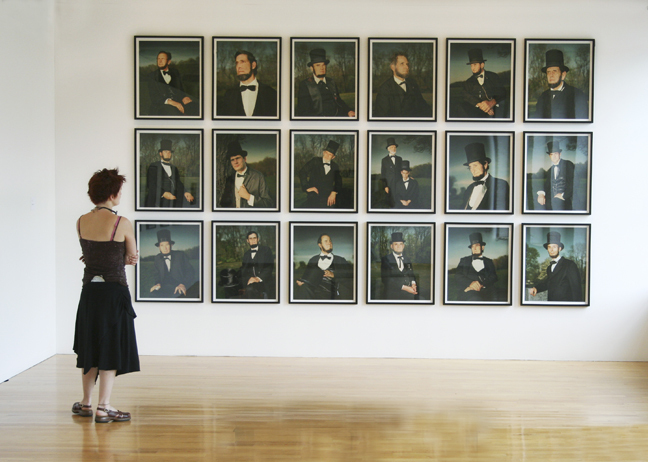 See you next week, Lincoln lovers.